Fleshy glaucous varegated greyish-green and white leaves. 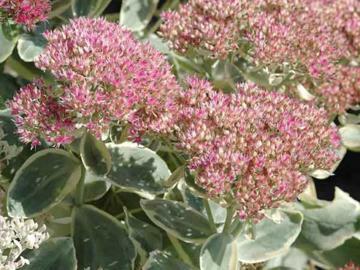 Pale pink flower heads in late summer and autumn. Clump forming.